We were recently asked to update the web site for Cowplain Community School, a learning establishment situated in Waterlooville, just outside Portsmouth. The web site is now live and running. 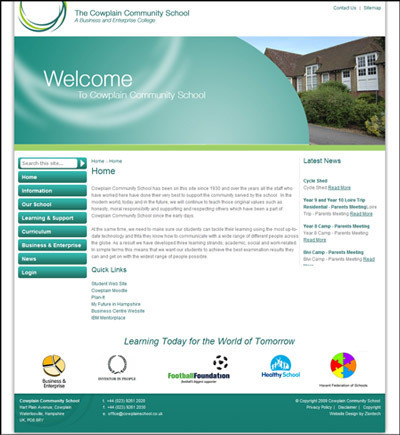 We have given the site a bit of an overhaul working on each stage from the redesign of graphics (although keeping to the same colour scheme as the original site and the existing school colours) to a new content management system allowing for a large degree of content control and content addition.